Over the last decade, British luxury retailer Burberry has earned recognition for its innovative approach to digital marketing and its efforts to develop an impactful, consistent brand identity. When its famous checkered design became associated with rowdy football hooligans in the early aughts, Burberry found their products banned from businesses across the United Kingdom. What was once a signifier of wealth and taste had, through decreased costs and rampant counterfeiting, grown popular with the exact opposite market Burberry hoped to serve. In 2006, new CEO Angela Ahrendts kick-started efforts to rebuild Burberry's brand identity. One of her first initiatives saw Burberry remove the recognizable checkered pattern from all but 10% of its products. Alongside Creative Director Christopher Bailey, Ahrendts also announced her intention to make Burberry the first fully digital luxury retailer. Ahrendts' efforts were largely successful. During her tenure, Burberry's value nearly quadrupled. What's more, her work to rehabilitate Burberry's image by embracing both tradition and innovation is often cited as a case study in effective brand management. Not all of Burberry's efforts to maintain an air of exclusivity have gone over so well. Recently, the brand's annual earnings report revealed that Burberry incinerated nearly $40M worth of merchandise in 2017. The Times points out, "Even at [Burberry]'s notoriously high prices, that is the equivalent of more than 20,000 of its signature trench coats." While the practice is nothing new, Burberry is destroying more stock than ever. The value of wasted merchandise has doubled over the last two years and increased by six times since 2013. Burberry is hardly the first organization to attract scrutiny for destroying its merchandise. Just last year, the New York Times exposed Nike's practice of slashing 'obsolete' shoes from heel-to-toe. In a more bizarre example of this controversial practice, 2017 also saw Bloomberg report on H&M's unusual relationship with a Swedish power plant. The plant, committed to eliminating fossil fuel by 2020, had taken to incinerating trash, wood, and other recycled materials to drive its operations. Among these materials were over 15 tons of discarded H&M products. The retailer claimed these products had failed safety tests, but critics were predictably skeptical. For H&M's detractors, destroying merchandise flew in the face of the retailer's commitment to sustainability. Offering a 'Conscious Collection' and encouraging its consumers to recycle clothing, H&M has become known as perhaps the most environmentally conscious 'fast fashion' brand. News that the Swedish retailer destroyed unsold merchandise led many commentators to question the brand's commitment to its supposed mission. 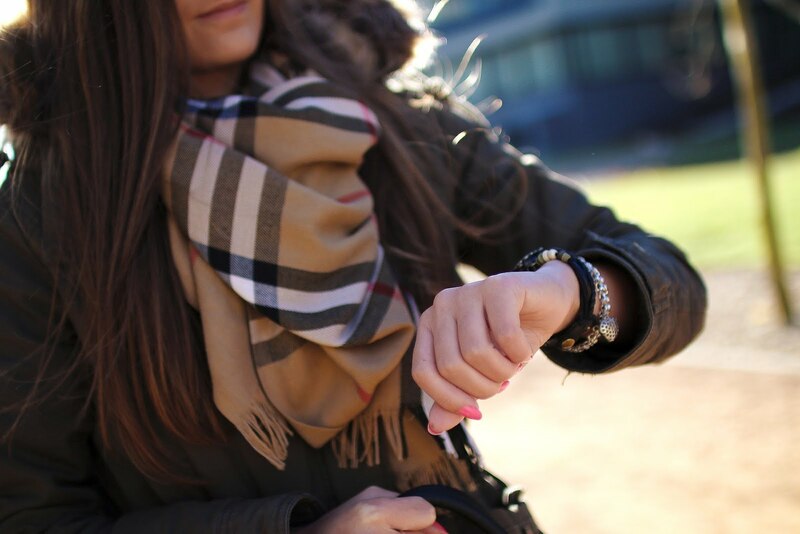 The recent revelations surrounding Burberry have inspired similar speculation. In 2014, Burberry was one of the first brands to sign Greenpeace's Detox Solution Commitment. Beating luxury brands like Gucci and Louis Vuitton to the punch, they (seemingly) placed themselves at the vanguard of sustainability in fashion. A spokesperson from Burberry cited the organization's environmental track record in a response to this month's controversy. "Burberry," the statement reads, "has careful processes in place to minimize the amount of excess stock we produce.On the occasions when disposal of products is necessary, we do so in a responsible manner and we continue to seek ways to reduce and revalue our waste." Critics have responded by tagging Burberry's actions as wasteful, unethical, and elitist. Kristen Brodde, who leads the aforementioned Greenpeace campaign, wrote, "[Burberry] shows no respect for its own products and the hard work and natural resources that are used to make them." Brodde is not alone. Others have wondered aloud why an ostensibly green organization would destroy its goods rather than donating them or selling them to shareholders. Reporting on Burberry's troubles, Forbes' Olivia Pinnock suggests the practice of destroying unsold garments is largely ubiquitous and almost entirely unremarked upon. "It is incredibly difficult to calculate how much deadstock currently goes to waste," she writes, "as while there are incentives to do it, there's no legal obligation to report it." Today's consumers insist on visibility into their preferred brands' supply chains. They expect organizations to behave ethically and practice what they preach when it comes to issues like environmental activism. Couple that with a cultural conversation that's rethinking luxury and exclusivity, and it's clear something will have to change soon. No one is legally obligated to report on what happens to deadstock. I expect, however, that more and more people will soon feel personally obligated to do so.